On International #readabookday I'd like to dive more into (3D) Augmented Reality and books, either study or reading books! Did you know that Aryzon designed a very simple book about the animal kingdom, as part to test our product before we actually launched world's first Cardboard of Augmented Reality? The test, in November 2016, was a GO/NO-GO moment for us and to spoil the result, it was a big GO. The childeren saw via the Aryzon Headsets a zebra walking on the pages and they had to answer a question like "What does the Zebra eat? ", by pressing the correct answer on the page (using Vuforia's Virtual Buttons). Both the children as the teachers loved it. Augmented Reality (AR) is recognized as one of the most important developments in educational technology for education as emphasized in the Horizon report (Johnson et al., 2016, 2015). Bridging the gap between the virtual and the real world, Augmented Reality (AR) provides new ways of teaching and learning, being way more appealing. Also much more knowledge can be shared in a natural intuitive manner; everything around us is already in 3D after all. Also research has shown that in terms of retention rates, using 2D-displays to visualize 3D objects (laptop/tablet/smartphone), decreases the retention rate of the content. This is because the brains require a lot resources to visualize these 3D objects in your imagination (being presented via a 2D-platform), that it has less resources available for actually remembering the content. You'd better either use an old book with 2D illustrations or 3D 'Holograms' via the Aryzon/HoloLens/other devices with stereoscopic projection. Of course an another important aspect, being visualized either via (2D) display or 'hologram', the way of education becomes more appealing and interesting, which helps a lot for sure in getting higher grades. Amongst others, 3D AR can be used to improve language education, training of mechanical skills, and spatial abilities training. Numerous studies have indicated that AR promotes enhanced learning performance for these reasons. 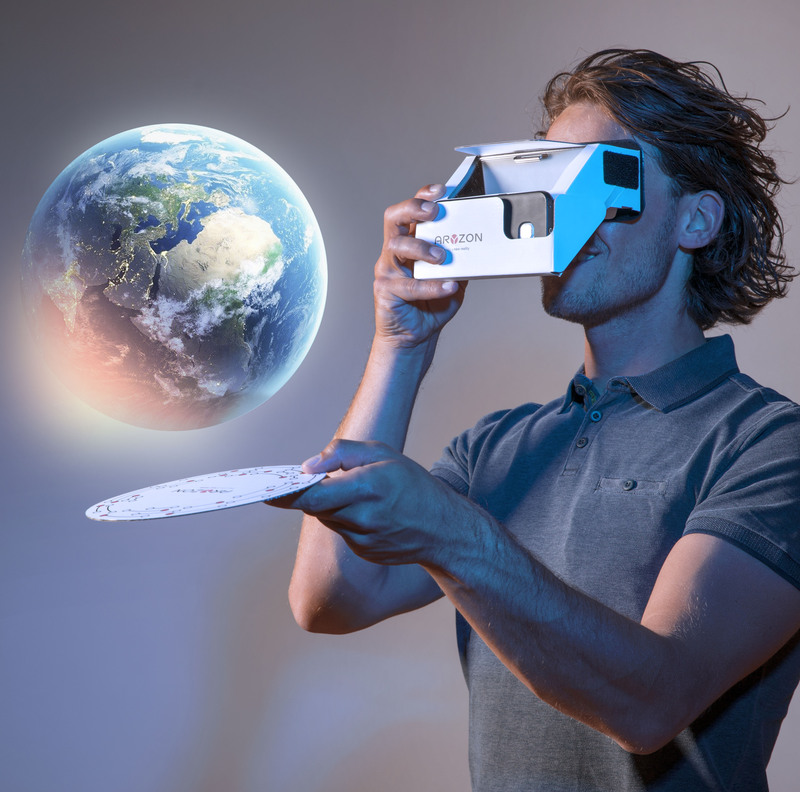 Using 3D AR in study books makes studying more appealing and create more comprehensive content and interaction to share knowledge and to actually recall it much better. Imagine how biology content becomes suddenly clear immediately. Or consider our solar system; everyone knows the Earth is rotating around the Sun (I hope...), but the Earth has an angle on which it rotates relative to this angle; which fluctuates throughout the year and has an oval orbit around the sun, all being factors to the seasons. I am an engineer in Renewable Energy Resources and back then I had a hard time to get this clear from a photo (2D) of a book and a Youtube-video (also 2D), so imagine the trouble for most other people who truly want to understand it. How perfect would this be, using 3D AR to actually SEE it in front of you! Adding more content and knowledge to the same book, gives publishers a new tool in addition to the traditional books. A tool to start in the digital world, by not simply making the book digital, but actually enhancing the text with virtual objects. In my opinion many more publishers should get in contact with Aryzon to see the potential of enforcing their business strategy. In the same way, imagine reading your children funny child books. Of all people, the children have the best imagination which can be used to explore the virtual world while the parent is reading aloud even better. It definitely would bring fairy tales to a next level! 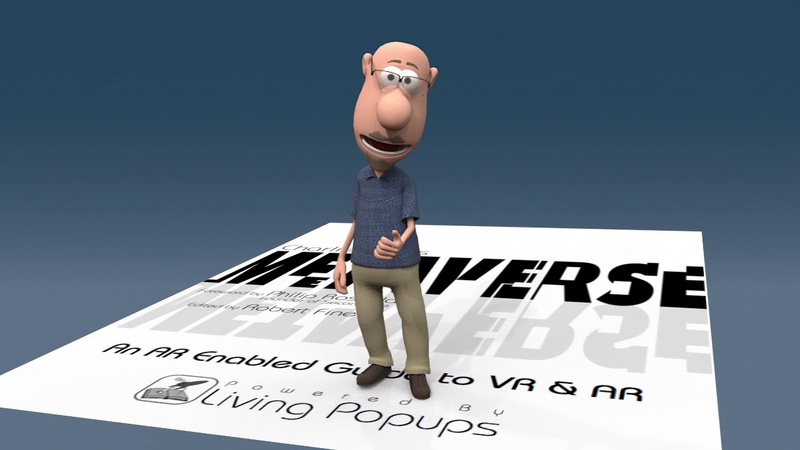 Publishers can make use of this third dimension both in terms of educating as in entertainment. Let it trigger some interactions to enhance skills such as maths and language for the youngest of us while 'being' in the fairy tale. And the older the reader, the more focussed the virtual content can be developed. 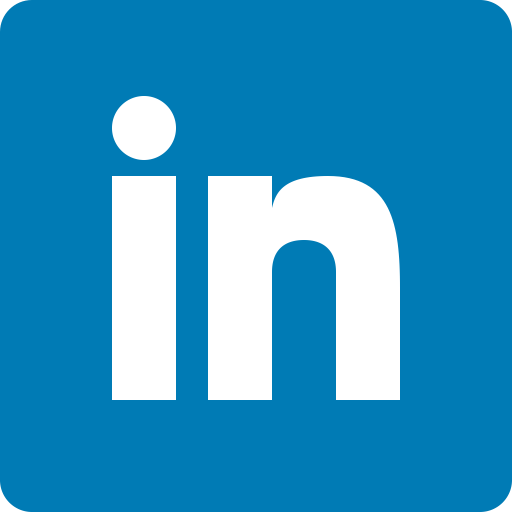 It literally opens a whole new world and reality, giving so much potential for publishers, especially the early adopters amongst the publishers! But also regular reading books, for instance the book which one of my inspirators Charlie Fink has written, Charlie Fink's Metaverse - An AR Enabled Guide to AR & VR. 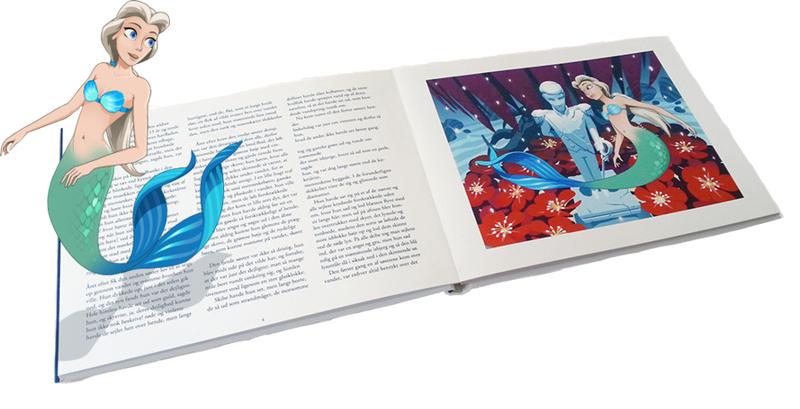 Via an app the book features original art and humorous character animations, a whole new experience of reading a book. This is in 2D though to make the distinction again, being visible via a smartphone-display, but definitely amazing and adding more to a book than just text and illustrations. Imagine some articles in a newspaper or magazine; letting virtual artifacts popping out of it to make a topic more comprehensive and more appealing. Of course it can also help a newspaper with generating revenue via new kinds of advertisement via AR. To conclude my blog, I think there is a lot of potential in use these new technologies in combination with books. I definitely promote everyone to read as many books as possible, as it enriches your knowledge and give some some periods of rest of all these digital chaos. 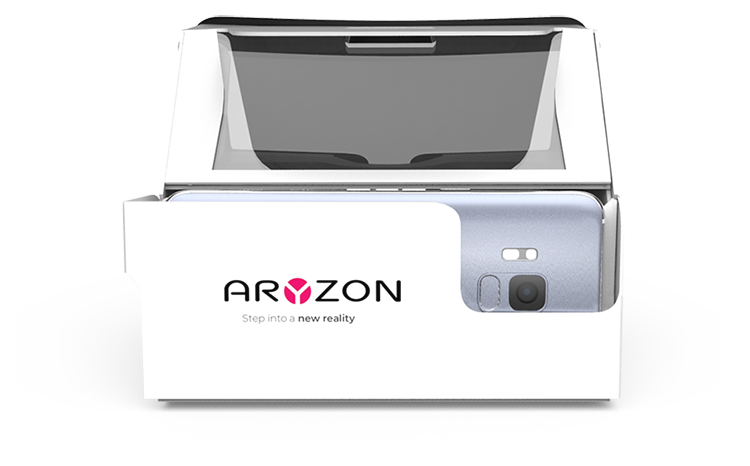 In the same time the digital world definitely brings new possibilities with Augmented Reality and together with Aryzon's solutions it not only gives regular AR, but also an extra dimension allowing volumetric 3D experiences. So step into a new reality!